So I’ve had a super run of good luck with blog contests and such lately. 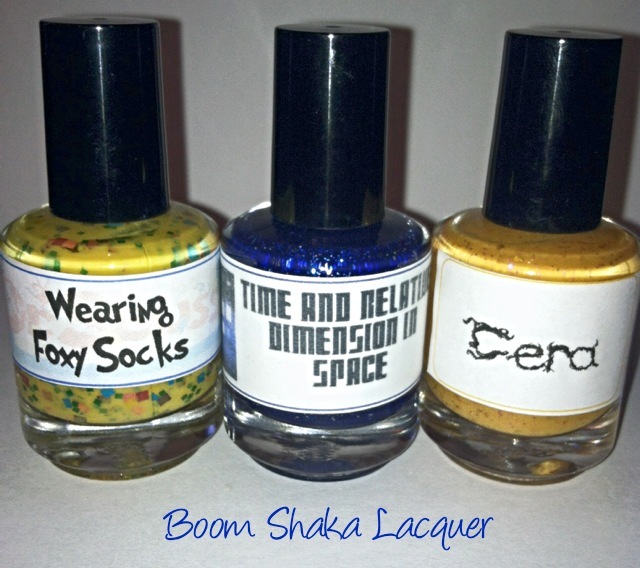 I received this prize pack of three polishes from LynBDesigns last week and I’ve been itching to swatch them ever since. 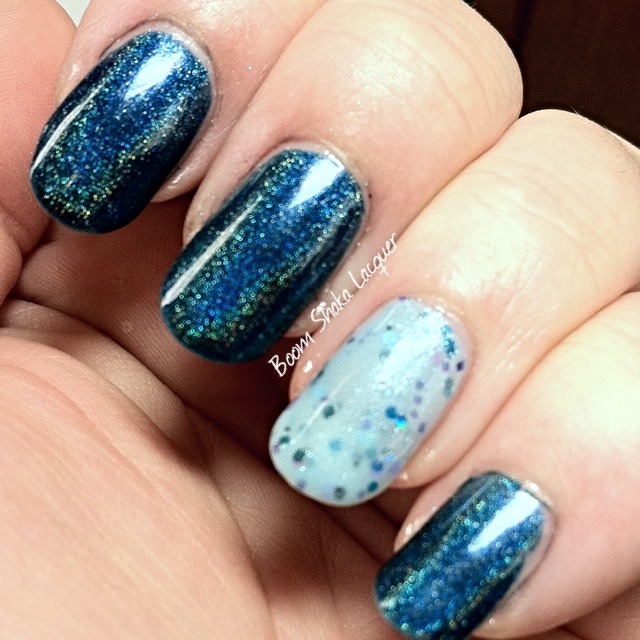 I have long admired Jennalyn’s polishes but have not before now owned any of them. So without further rambling let’s get onto the polishes! Look at them there, don’t they look lovely? I love adding indie polishes to my collection. Because of the area that I live in the likelihood of anyone having any of them are slim to none so I can be utterly unique! First up I have Wearing Foxy Socks from the Dr. Seuss collection. Now, I’ll be the first to admit that I was slightly wary because my skin tone and yellow just DON’T get along…usually. I don’t know what it was about this polish but I really quite liked it! The formula was to die for really. 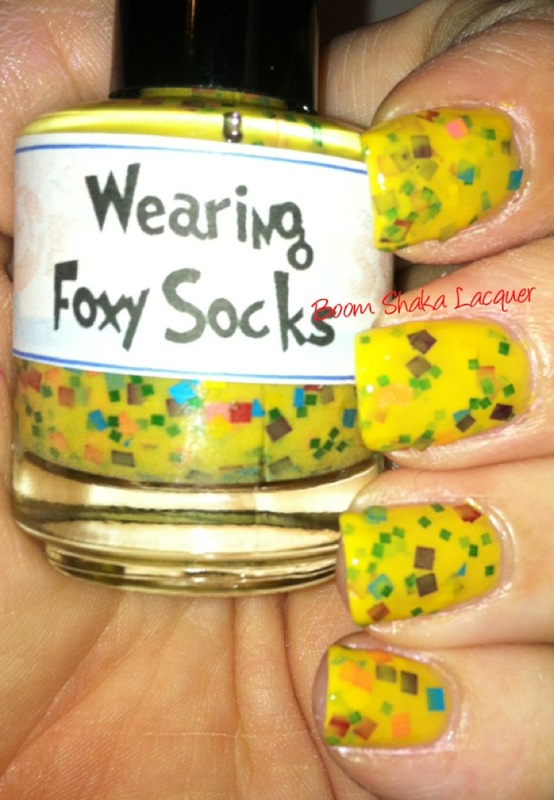 This polish has a ochre yellow crelly base and is chock-full of multi-colored and multi-sized square glitters. The spread of glitters was really nice and I was able to reach opacity easily. What you see here is two coats with a coat of Nail Pattern Boldness – Glitter Food and topped with Glisten&Glow – HK Girl quick dry topcoat. Next up we have Cera, from the Land Before Time collection. Again the formula on this baby was AH-Mazing! 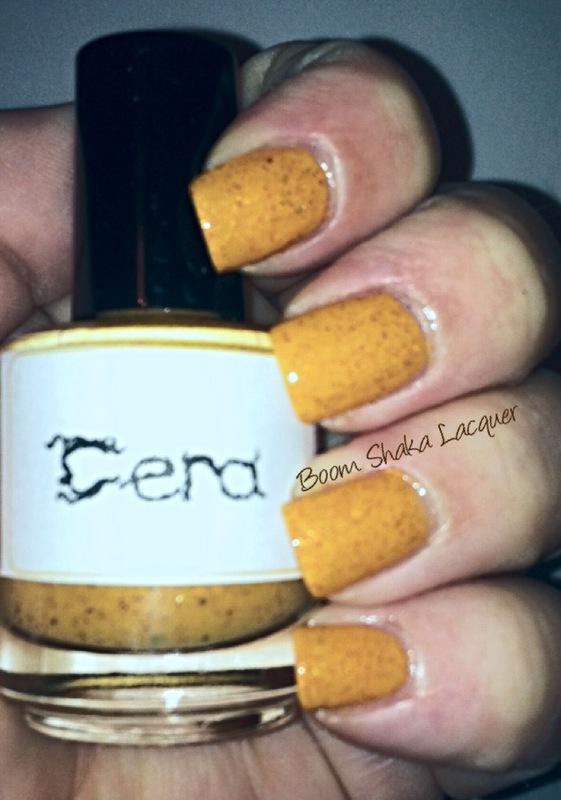 This is a mango colored creme base with small gold hexes and copper micro-glitter just shimmering all the way through. 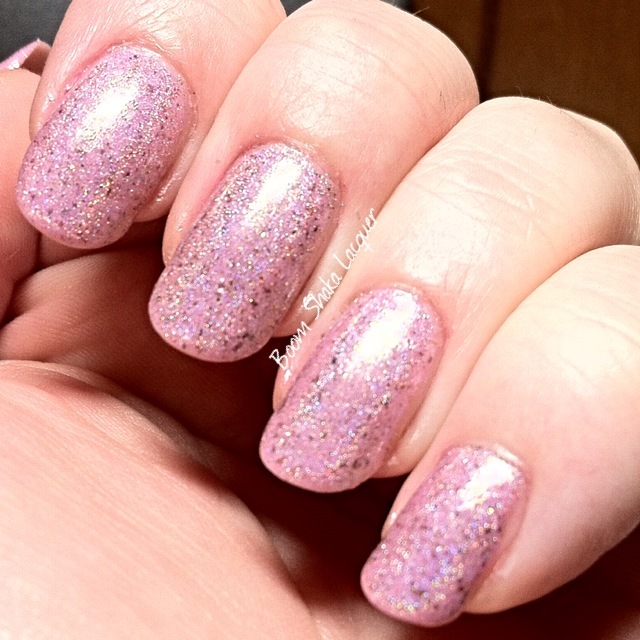 Pictures of this polish on the internet do it NO justice whatsoever. It’s such a pretty delicate shade and perfect for fall! What you see here is two coats topped with HK Girl. …Ok, I think I’m better now. TARDIS comes from the Doctor Who collection (naturally). 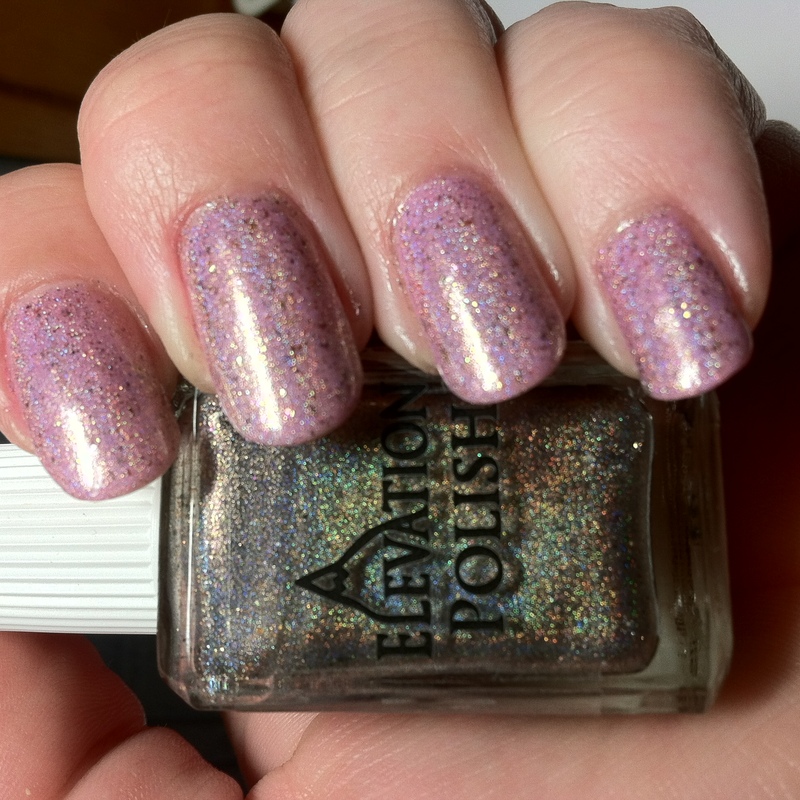 If it were possible to be in love with a polish, and for the record I maintain that it is fully possible, I would be in love with this one. 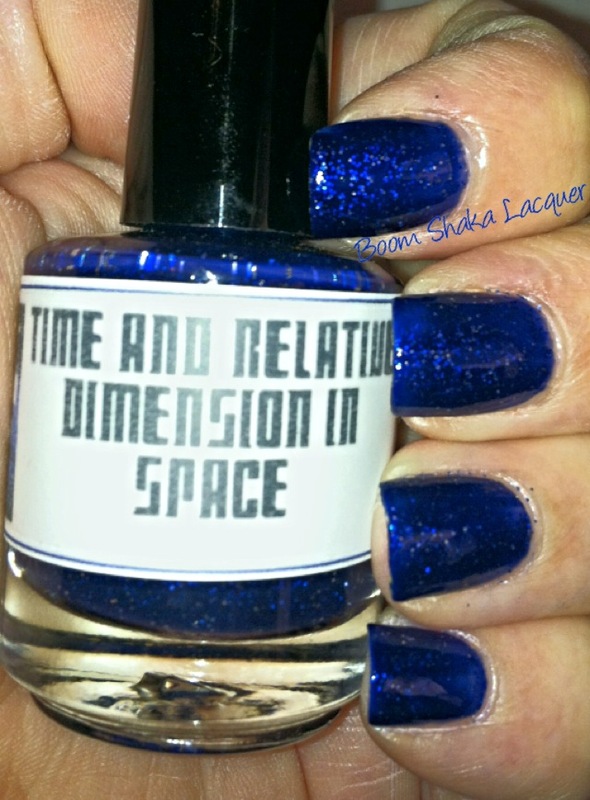 TARDIS is a deep royal blue jelly with silver and blue microglitters just packed in there like sardines! 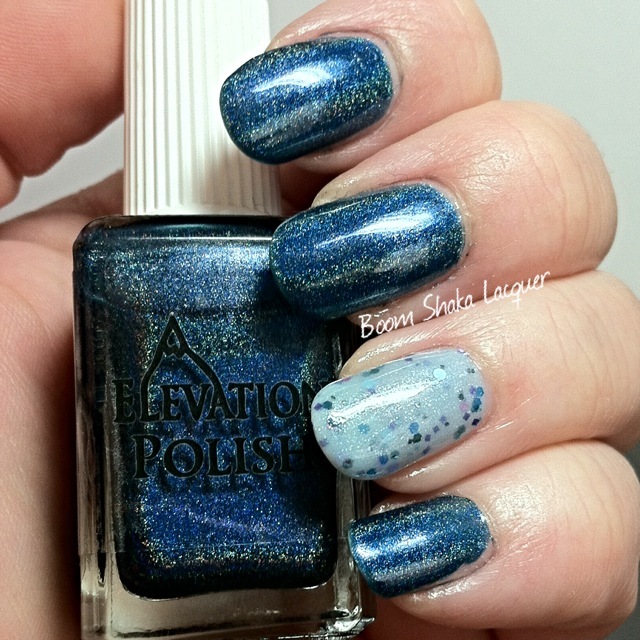 This polish was a dream to apply and reached full opacity in two coats. Picture shows two glorious coats of TARDIS topped with HK Girl. Overall I am super stoked about these polishes! The formulas are literally some of the best I have come across. 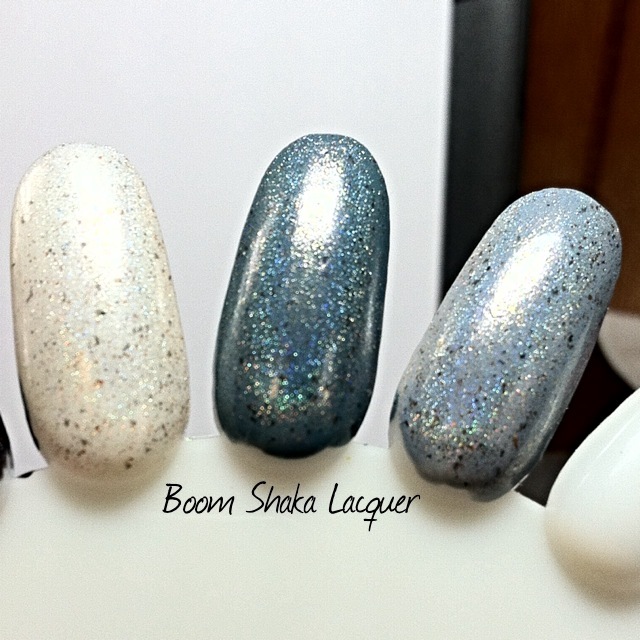 Run don’t walk to her shop and get you some of these gorgeous polishes! I know quite a few are definitely on my wishlist! You can find her shop here. She’s also on facebook as well. Don’t hesitate to tell me which LynBDesigns polishes that you are wishing for, or post some pics on my facebook page! I would love to see them!